Estate style driveway with matching pilasters by Genesis Stoneworks. Long weekends like the Martin Luther King Jr. holiday take people outside. I like to think of them as an exodus from office chairs and television screens, to sunshine and BBQ chicken with friends. However, the view may be startling for some. Un-kept lawns, cracking driveways, and cluttered patios can easily put a damper on high spirits. Rather than spend yet another long weekend watching home remodeling shows, why not take action!? Consider a change. Winter is an excellent time for remodeling. Social events gravitate towards warmer months of the year, and Southern California winters are dry. These factors make for great opportunities to make big changes during these “slow” months. With start to finish times as fast as two days, Genesis could transform your home into an enviable paradise faster than your Amazon book arrives. Let Genesis turn a cluttered patio into a resort style escape! How about transforming that embarrassing driveway into an elegant approach!? New research in permeable paving stones and heat island effects show that interlocking paving can even benefit Mother Earth. Excess run-off from landscape irrigation or seasonal rain storms can cause erosion and water contamination. Permeable paving counteracts this by filtering excess water through sand and gravel sub-grade, which removes contaminants and limits run-off volume. Choosing light colored stone helps to battle the heat island effect on a micro scale. 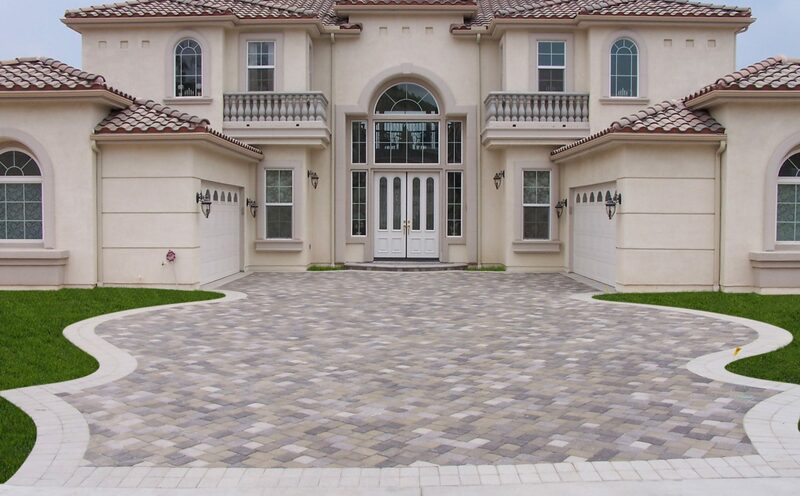 By choosing interlocking paving over asphalt, the property stays cooler. This is because dark-colored materials absorb more solar energy, getting hot, and stay hot long into the evening. Light colored interlocking paving reflects that solar energy and keeps the property cooler. Genesis Stoneworks specializes in outdoor remodels for driveways, patios, and even landscaping. With 10,000 satisfied clients and counting, you’ll be working with someone who knows how to create the most beautiful version of your home. To schedule a free estimate, call Genesis toll free at 888.389.5533, or visit our free estimate page. Don’t settle for another weekend inside, make the exodus into a more beautiful life today. My brother recommended I may like this web site. He used to be entirely right. This publish actually made my day. You can not believe simply how a lot time I had spent for this information! Thank you! Thanks for another fantastic post. The place else may anyone get that type of info in such a perfect approach of writing? I’ve a presentation subsequent week, and I am at the search for such information. I have been exploring for a little for any high quality articles or weblog posts on this sort of space . Exploring in Yahoo I at last stumbled upon this web site. Reading this info So i am happy to convey that I’ve an incredibly good uncanny feeling I found out just what I needed. I such a lot indubitably will make sure to don?t fail to remember this website and provides it a look regularly. I wonder how many cars could fit in that driveway. Many thanks for an execllent publish.. just test The spot altogether different might everyone obtain that variety of data in this the perfect way of creating? I get a powerpoint presentation pursuing 7 days, and I am for the try to find such facts. Next PostNext Winter Tips for Any Outdoor Holiday Gathering!